Sociology - SAGE Research Methods - LibGuides at SAGE Publications, Inc.
How Do I Research Social Change? 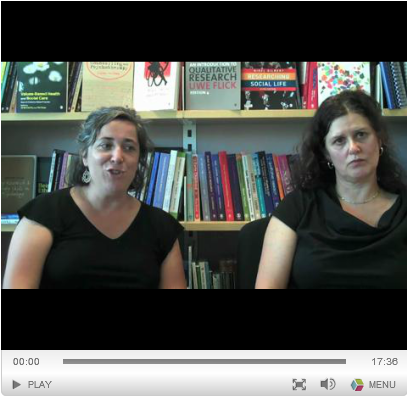 Authors Rachel Thomson & Julie McLeod discuss the challenges of researching social change and how they can be overcome. The SAGE Encyclopedia of Social Science Research Methods is a three-volume resource that is a first of its kind, developed by the leading publisher of social science research methods books and journals. This unique multi-volume reference set offers readers an all-encompassing education in the ways of social science researchers. Written to be accessible to general readers, entries do not require any advanced knowledge or experience to understand the purposes and basic principles of any of the methods. The Encyclopedia features two major types of entries: definitions, which provide a quick explanation of a methodological term; and topical treatments or essays, discussing the nature, history, application/example and implication of using a certain method. Also included are suggested readings and references for future study. This Handbook, edited by internationally recognized scholars, provides a comprehensive, pitch-perfect critical assessment of the bourgeoning field of Social Research. The main features of the Handbook are as follows: 1) Clear organization into 4 parts dealing with The Social Context of Research, Design and Data Collection, Integrating the Analysis of New Data Types, and Sampling, Inference and Measurement; 2) Clear, cutting edge chapters on Objectivity, Causation, Organizing Social Research, Correspondence Analysis, Grounded Theory, Conversational Surveys, Mixed Methods, Meta-Analysis, Optimal Matching Analysis, GIS Analysis, Quantitative Narrative Analysis, and more; 3) Brings together a glittering assembly of the key figures working in the field of Methods today; and 4) Demonstrates the continuities and productive tensions between classical traditions and real world research today.